What will Santa bring for the new year? The end of 2013 is approaching with leaps and bounds and i don’t think i’m overstating it if i say that from a macro-economic perpective this year has provided plenty a gift for anyone who’s into the western equity markets. The Euro Stoxx 50 is up 20.8% this year while the S&P 500 in the states has bloated by a hefty 30.2% so far. Great numbers by any standard. And top it all off the U.S Federal Reserve (finally) started it’s tapering of asset purchases last week, something that the markets in general reacted to with great festive joy (much suitingly for the time of year!). The prospects for 2014 in world wide economic terms indeed look promising pretty much all over. I’m not going to make any predicitions about the coming year for myself or anyone else, i’ll settle with the good vibrations that are all over the business pages these days. Before this year comes to an end however, it’s Christmas celebrations in the books for me starting tomorrow! I wish anyone takes the time read this a very Merry Christmas and a happy new year. 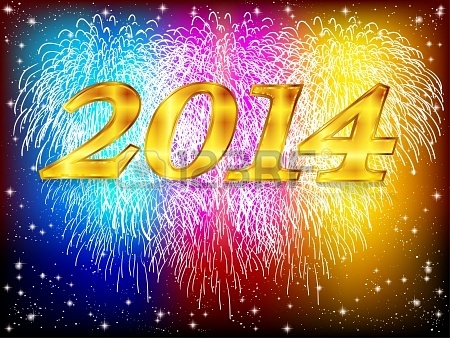 May 2014 be prosperous for you and may all your dreams come true! It’s that time of the month again.. So i’m on my way to take the exam in statistics..not feeling as over-confident as i’d wish about this one to be honest, but we’ll see.